25 N 14th St. Suite 505 office 1. B.B Auto & Tow offers 24/7 Towing and roadside assistance services in San Jose, CA. We deliver: Emergency Towing, Roadside Assistance,Dead Battery Replacement, Flat Tire Change and more. 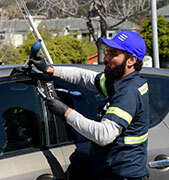 B.B Auto and Tow provides top quality towing, roadside assistance and body shop services in San Jose. We are a local company and so are well acquainted with San Jose&apos;s community as well as routes, typical traffic conditions, and the needs of San Jose&apos;s motorists. 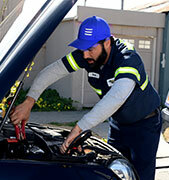 We employ only top class techs and provide them with state of the art gear and all necessary logistics on order to ensure you enjoy nothing but top class service, whether towing, roadside assistance or body shop.At B.B Auto and Tow we are all about providing you with fast, professional solutions for highly competitive rates. 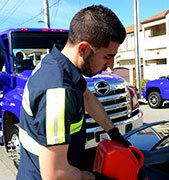 We have earned a name for ourselves as market leaders, we set the standards with regards to towing in San Jose as well as with roadside assistance and auto body work.Our towing and roadside assistance services are available nonstop, we know our way around San Jose and have a large fleet of tow trucks and service vans at our disposal. This enables us to guarantee a 30 min ETA at any time during the day or night and to any location in or around San Jose. Any other type of roadside assistance service you may be in need of.